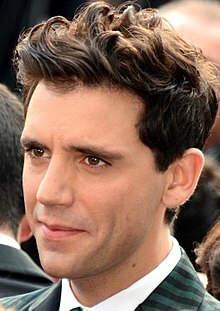 Mika (/ˈmiːkə/; born Michael Holbrook Penniman, Jr.; 18 August 1983), stylised as MIKA, is a Lebanese-born Inglis sangster an sangwriter. ↑ Heather Phares. "Mika | Biography". AllMusic. Retrieved 18 July 2015. ↑ "Artists". Universal Music. Archived frae the oreeginal on 29 May 2015. Retrieved 27 June 2013. ↑ Pareles, Jon (31 March 2007). "A rising British pop star revives a Mercurial style". The New York Times. Retrieved 22 June 2007. ↑ Mccaffrey, Julie; Adam Luck (29 January 2007). "Mika, Teenage prodigy of the Royal Opera". Daily Mirror. Retrieved 22 June 2007. ↑ Cotton, Fearne; Adam Luck (28 September 2009). "Mika at Live Lounge". BBC Radio 1. Retrieved 29 September 2009. This page wis last eeditit on 25 Apryle 2018, at 16:00.